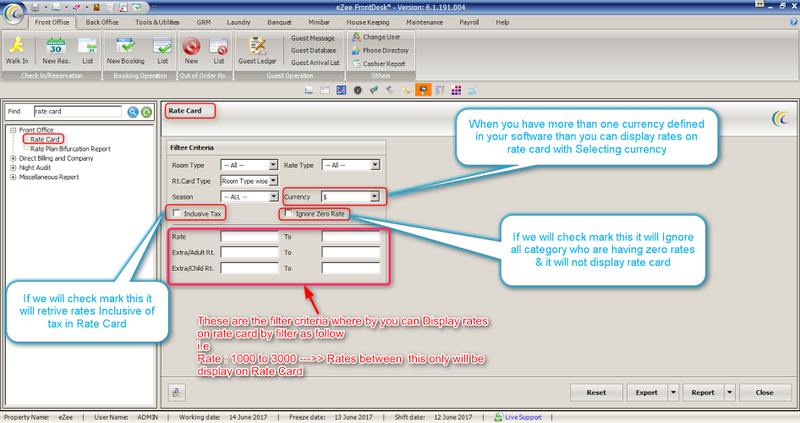 Note : When we talk about Rate Card report : Only Linear Rate will be displayed in Rate Card Report. If we change any rates in configuration the report will automatically perform the changes on it. 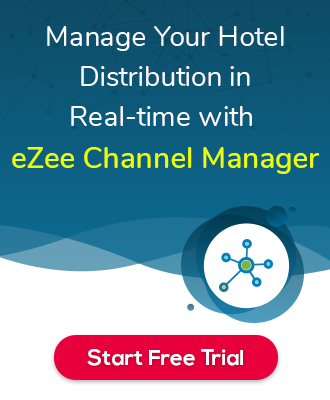 It will used when you just would like to display rates on rate card whereby you don’t want to display all the rates for different rate types. Include Tax : If you will check mark this, It will display rates including tax. Ignore Zero Rate : If you will check mark this, It will not display zero rates for rate types and it will ignore it. 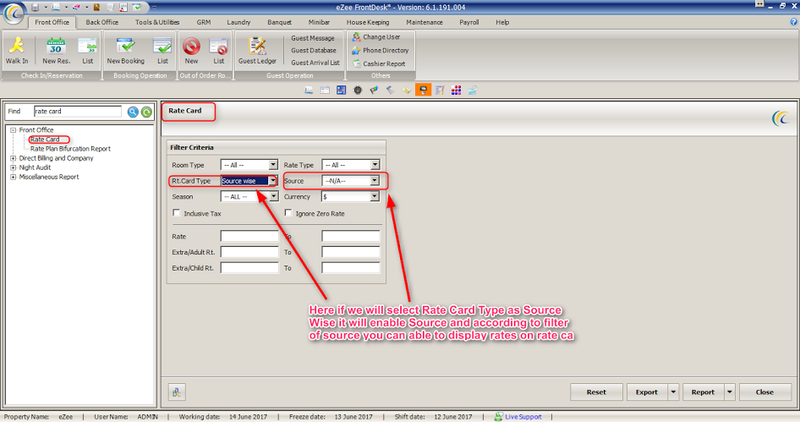 Rt.Card Type : If you will select Rt.Card Type as Source it will enable Business Source Drop down box and you will be able to select business source and can able to retrieve rates on rate card with specific business source.